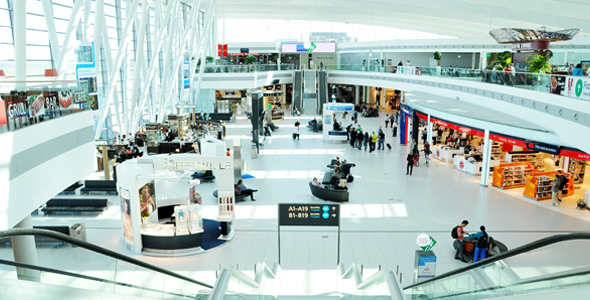 Thanks Again® is the only rewards program that gives you Premier Points each time you pay with any registered credit and/or debit card at 100 airports and thousands of surrounding Thanks Again participating merchants. *Applies to all American Express® Visa and MasterCard cards. Earn 1 Premier Points per USD every time you use your registered credit or debit card at the various participating Thanks Again merchants. If you're not a Club Premier member, join here. You agree to be bound by these "Terms and Conditions." As of March 2, 2015, Club Premier Members may earn Premier Points in their Club Premier Accounts, when shopping with credit or debit cards registered in the Thanks Again Program. For Club Premier Members to earn Premier Points in their Club Premier Accounts, when shopping with credit or debit cards registered in the Thanks Again Program. 3. 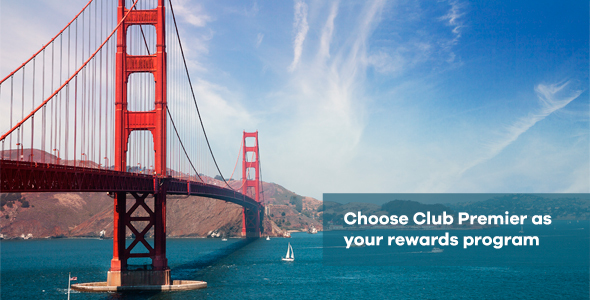 Select Club Premier as your Rewards Program. 4. Enter the information of your credit or debit cards. 5. Read and accept the Terms and Conditions of Thanks Again. - You must be a Club Premier member. - The accumulation of Premier Points is valid only at Thanks Again's participating merchants in the USA*. - Premier Points will only be credited to Club Premier Members who have registered one or more credit or debit cards with Thanks Again Program. - Members in the United States may register all Visa, MasterCard or AMEX credit and debit Cards and members in Mexico all Visa and MasterCard credit and debit cards. - Credit or Debit Cards issued in the name of companies for their employees, as well as cards linked to humanitarian organizations and gift cards are not allowed for registration. - Registration of Credit and/or Debit cards at www.thanksagain.com grants Members of Club Premier the opportunity to accumulate Premier Points in their Club Premier Accounts, whenever they use their registered credit and/or debit cards. - Members in the United States may register all Visa, MasterCard or AMEX credit and debit Cards, and members in Mexico all Visa and MasterCard credit and debit cards. - Registration of Credit and/or Debit cards is free. - Registration of Credit and/or Debit will take Club Premier members approximately 2 to 3 minutes. - The accumulation of Premier Points is valid only at Thanks Again's participating merchants in the USA* . - Accreditation of Premier Points for purchases with credit and/or debit cards registered with Thanks Again, shall take place no later than ten (10) working days from the date of purchase. - The minimum purchase to earn Premier Points is USD $1.00 (One dollar 00/100 USD). - Premier Points granted using co-branded Club Premier Cards, will be accumulated under the terms and conditions of each of the banks. - The Club Premier must retain original receipts or statements of their credit and/or debit cards for any further clarification. Expiration of Premier Points earned by Club Premier Members for using their credit or debit cards registered with Thanks Again, shall be governed by the Expiration Policy of Club Premier, as well as by the rules of Club Premier Program. Club Premier reserves the right to undertake any actions it deems relevant upon the detection of harmful behavior from the Members of Club Premier. - Confirmation of registration of credit and/or debit card. - Notification for purchases with registered credit and/or debit cards. - Confirmation of cancellation of registration of credit and/or debit card. Club Premier reserves the right to change the rules of the Club Premier and Thanks Again programs at any time without notice. I. The acquisition of third parties products. II. The services provided by third parties. Registration of Club Premier Members' Credit and/or Debit cards does no guarantee availability of any award of Club Premier Program, and Club Premier is not if the Member can or cannot use, exchange or redeem its Premier Points earned with purchases with said registered credit and/or debit cards. If registration of Credit and/or Debit cards is used for improper purposes, or improperly obtained via bank card, fraud or any other illegal means, Club Premier may, at its discretion, terminate, cancel or refuse delivery and/or confiscate said Premier Points, as well as pursue any and all rights and remedies that may be available. The Member agrees to fully cooperate with all reasonable requests of Club Premier aimed at the investigation or prosecution against any individual involved or suspected to be involved in the misuse or fraud regarding the registration of Credit and/or Debit cards, as well as any fraudulent or harmful behavior by the Club Premier Members. Member agrees that the award and use of Premier Points, are subject to the terms, conditions, exclusions and limitations of the Club Premier Program. The Premier Points mentioned in the Club Premier Program are not actual physical Points; they represent credits in the Club Premier Program. These Points are not equivalent or convertible to any legal tender in cash. Club Premier reserves the right to undertake any actions it deems relevant upon the detection of harmful behavior from the Members. Club Premier is released from any liability on the origin, use, ownership, etc. of Credit and/or Debit cards registered with the Thanks Again Program. These Terms and Conditions, in relation to their interpretation or enforcement, shall be governed by the law and jurisdiction of the competent courts of Mexico City, Federal District, expressly waiving any venue to which it may be entitled by virtue of domicile, present or future. In case of any doubts or questions regarding these terms and conditions, please contact us via email: [email protected]. or call 888-572-8198 for Thanks Again’s Customer Service. Keep on earning! Just choose Club Premier as your rewards program and earn 1 Premier Point for every dollar spent at any of Thanks Again’s merchants whenever you use your registered cards. Earn Premier Points shopping and dining at Thanks Again’s participating merchants in the United States. Click here to see participating merchants. For every dollar spent you earn 1 Premier Point.